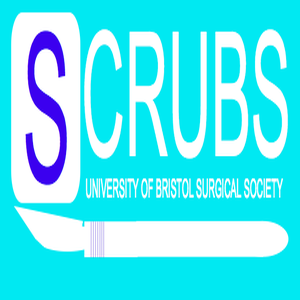 SCRUBS is the official surgical society at Bristol University. As a society, our aim is to inspire medical students to pursue a career in surgery by providing information about what surgery entails and the surgical career path options, providing experiences of different surgical specialties, and providing opportunities to network with surgeons and display their work at surgical conferences. Our main events for the academic year are the Surgical Skills Day where we hold specialist skill workshops and The National Conference for Aspiring Surgeons which we co-host with the Royal College of Surgeons of Edinburgh, where applicants can present their research with posters and oral presentations. In addition, we have numerous suturing workshops and informative lectures from specialist surgeons throughout the year. Whether you are an aspiring surgeon, or you just want to learn more about the surgical profession, SCRUBS is a beneficial and exciting society to join!